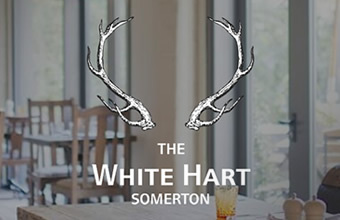 The White Hart is a beautifully restored country pub in Somerton, offering a luxurious gastro-pub dining experience. 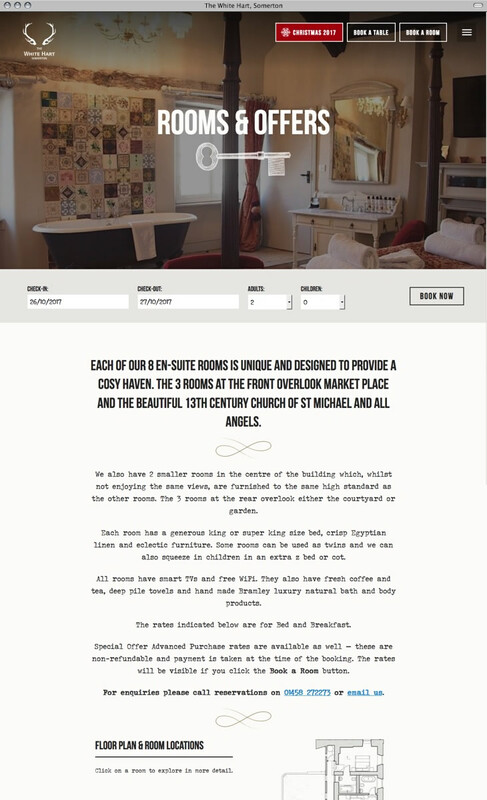 Part of the Stay Original group, this is our third pub website for the company. 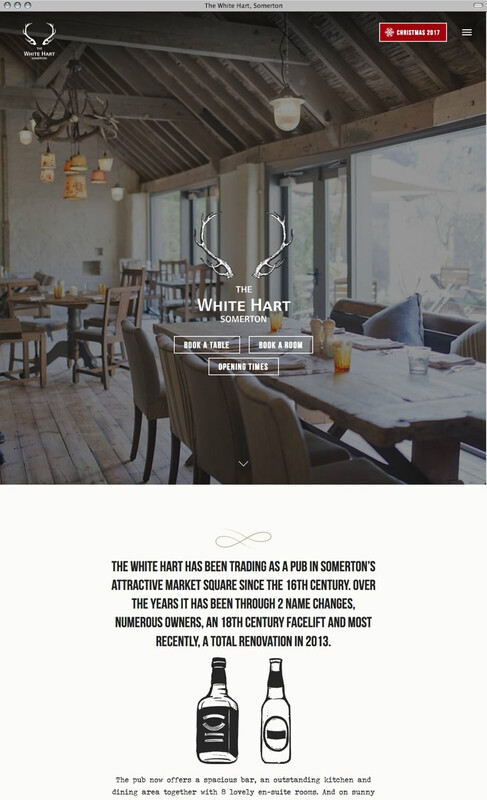 This time they wanted a different look and feel to the website, and I wanted to reflect the quality and style of the pub itself, opting for a more "rustic" look to the site.